Objective: The objective of our study was to evaluate the frequency and surgical outcome of patients with posterior fossa lesions. Material and Methods: This observational, descriptive study was conducted in the department of neurosurgery at lady reading hospital Peshawar and PUMH Nawabshah from Jan 2014 - June 2018. A total of 163 patients were observed during the study period. All those patients who undergone surgery for intra-axial posterior fossa tumors were included in the study. We included patients of both the genders and all age groups. We took approval of the study from the hospital ethical committee and informed consent was taken from the patients or their relatives. The data was entered in a specially designed Performa. Patients’ data was analyzed using SPSS version 21. Results: We had total 163 patients during the study period who fulfilled the inclusion criteria. Most (80.4%) of the patients were in the pediatric age groups and male (57%). Age of the patients ranged from 1-65 years with the mean age 17.4 years. The most common tumors in our study were Medulloblastoma (33.1%), Ependymoma (22.7%) and Astrocytoma (19%) in descending orders. Hemangioblastoma and metastasis were seen in 6.1% cases each. The most common clinical features were headache (87.1 %) and vomiting (64.4%) cases. Most (74.8%) of the patients undergone sub-occipital tumor excision. The most common post-operative complications in descending orders were tumor bed hematoma (6.7%), wound infection (4.9%) and cerebrospinal fluid (CSF) leak (4.9%). Total mortality was observed in 12.3% cases. Conclusion: We conclude from our study that posterior fossa tumors are more common in male children. The most frequent tumors in posterior fossa are Medulloblastoma, Ependymoma and Astrocytoma. Tumors is excision (66%) is the main treatment option. The rest need CSF diversion procedures. The main post-operative complications are tumor bed hematoma, wound infection and cerebrospinal fluid leak. Mortality is high in such patients. Most patients had good and satisfactory outcome after surgery. 1. Prasad KSV, Ravi D, Pallikonda V, Raman BVS. Clinico-pathological study of pediatric posterior fossa tumors. J pediatric Neurosciences, 2017; 12 (3): 245-250. 2. Grossman R, Ram Z. Posterior Fossa Intra-Axial Tumors in Adults. World Neurosurg. 2016; 88: 140-5. 3. Barkovich AJ. Pediatric neuroimaging. Philadelphia. Lippincott Williams Wilkins, C 2005: ISBN. 0781757665. 4. Cushing H. Experience with cerebellar medulloblastoma: Critical review. Acta pathol microbial immunol scand. 1930; 7: 1-86. 5. O'Brien DF1, Caird J, Kennedy M, Roberts GA, Marks JC, Allcutt DA. Posterior fossa tumours in childhood: evaluation of presenting clinical features. Ir Med J. 2001 Feb; 94 (2): 52-3. 6. Shih RY, Smirniotopoulos JG. Posterior Fossa Tumors in Adult Patients. Neuroimaging Clin N Am. 2016; 26 (4): 493-510. 7. Muzumdar D, Ventureyra EC. Treatment of posterior fossa tumors in children. Expert Rev Neurother. 2010 Apr; 10 (4): 525-46. 8. Brandão LA, Young Poussaint T. Posterior Fossa Tumors. Neuroimaging Clin N Am. 2017; 27 (1): 1-37. 9. Poretti A., Meoded A., Huisman T.A. Neuroimaging of pediatric posterior fossa tumors including review of the literature. J Magn Reson Imaging, 2012; 35 (1): 32–47. 10. Borja M.J., Plaza M.J., Altman N., Saigal G.Conventional and advanced MRI features of pediatric intracranial tumors: supratentorial tumors. AJR Am J Roentgenol. 2013; 200 (5): W483–W503. 11. Raybaud C, Ramaswamy V, Taylor, Laughlin. Posterior fossa tumors in children: developmental anatomy and diagnostic imaging. Childs Nerv Syst. 2015; 31( 10): 1661-76. 12. Wolpert S.M. Mosby Year Book; St. Louis, MO. MRI in pediatric neuroradiology, 1992. 13 Kleihues P., Burger P.C., Scheithauer B.W. Springer-Verlag; Berlin. Histological typing of tumors of the central nervous system, 1993. 14. Allen J.C. Siffert J. Contemporary Chemotherapy Issues for Children with Brainstem Gliomas. Pediatr Neurosurg. 1996; 24: 98–102. 15. May PL, blaser SI, Hoffman HJ, Humphreys RP, Harwood-Nash DC. Benign intrinsic tectal tumors in children. J Neurosurg. 1991; 74: 867-71. 16. Smoll N.R., Drummond K.J. The incidence of medulloblastomas and primitive neurectodermal tumours in adults and children. J Clin Neurosci. 2012; 19 (11): 1541–1544. 17. Yamauchi M, Okada T, Yamamoto A, Fushimi Y, Arakawa Y, Miyamoto S et al. Differential diagnosis of posterior fossa brain tumors. Medicine (Baltimore), 2017 Aug; 96 (33): e7767. 18. Albright AL, Guthkelch AN, Packer RJ, Price RA, Rourke LB. Prognostic factors in pediatric brain-stem gliomas. J Neurosurg. 1986; 65: 751-5. Back to cited text no. 12. 19. Sutton L, Schut L. Cerebellar astrocytomas. In: McLaurin R, Schut L, Venes, et al., editors. Pediatric Neurosurgery: Surgery of the Developing Nervous System. Philadelphia, PA: WB Saunders Co.; 1989. p. 338-46. Back to cited text no. 14. 20. Spennato P, Nicosia G, Quaglietta L, Donofrio V, Mirone G, Di Martino G et al. Posterior fossa tumors in infants and neonates. Childs Nerv Syst. 2015; 31 (10): 1751-72. 21. Rx: Badri M, Chabaane M, Gader G, Bahri K, and Zammel I. Cerebellar metastasis of gastrointestinal stromal tumor: A case report and review of the literature. Int J Surg Case Rep. 2018; 42: 165–168. 22. Cheldiev BZ et al. Radicalness and complications of repeat surgery for malignant neuroepithelial tumors of the posterior cranial fossa in children. Zh vopr neirokhir Im NN burdenko/ 2018; 82 (5): 104-110. 23. Dubey A, Sung WS, Shaya M, Patwardhan R, Willis B, Smith D, Nanda A. Complications of posterior cranial fossa surgery—an institutional experience of 500 patients. 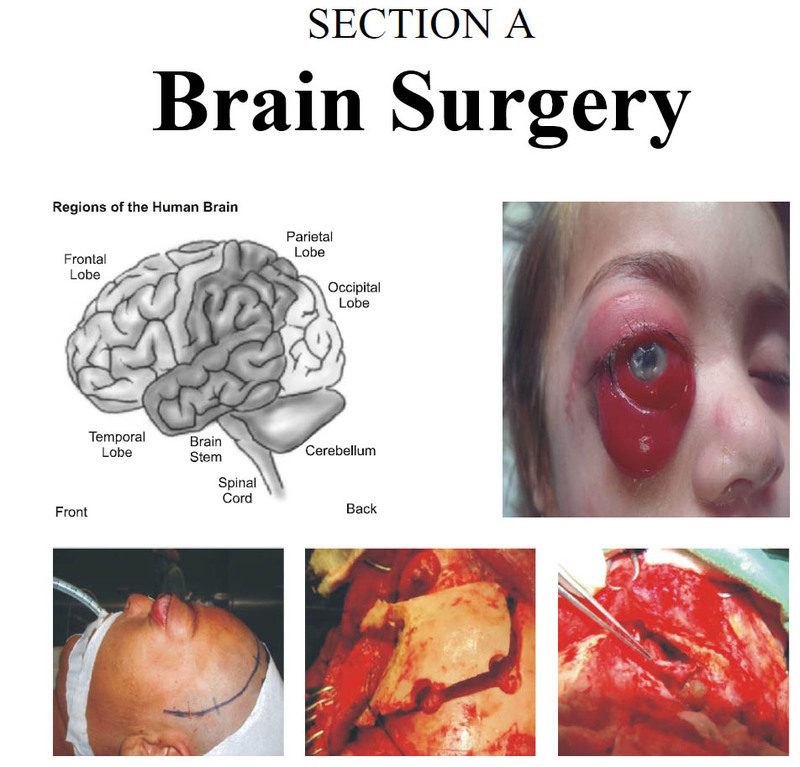 Surgical Neurology, 2009; 72 (4): 369-375.